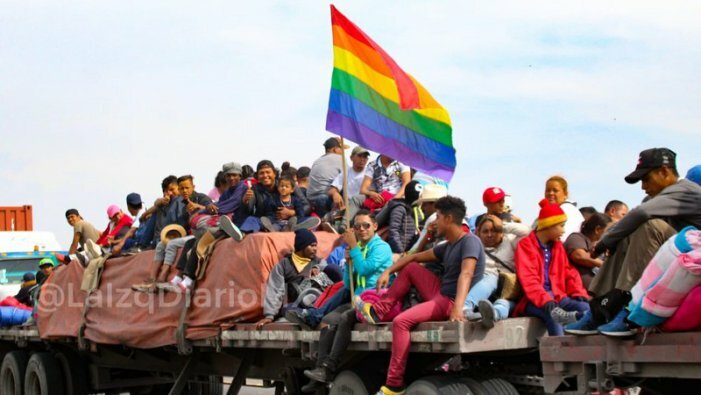 The first people in the migrant caravan to reach the US border was a group of LGBT migrants. How do we fight for the rights for trans migrants? While the migrant caravan is primarily made up of men, many women and children are also seeking a better life in the U.S. But the first to face the militarized US border were a group of LGBT people, predominantly trans women. These women are seeking asylum in the U.S., escaping both transphobia and economic despair in their home countries. These are the “terrorists” and “criminals” who caused Trump to send 5,000 troops to the border. On this, the Trans Day of Remembrance, we remember trans immigrants–those who have died in their attempt to build a better life and those who are living, right outside the U.S., hoping for asylum. We remember the combative history of trans people in this country, who fought for trans lives and the lives of all oppressed people. But we must do more than remember. We must unite to fight. Why do trans people migrate to the US? The majority of migrants in the caravan come from Central America, where there are exorbitantly high rates of violence against LGBT people. Raul Valdivia, a gay man and human rights activist who lives in Honduras, said “I was abused by police while on one of my very first dates. … These are police who patrol downtown Tegucigalpa, and I have seen them after, but I’m unable to speak out for fear of repercussions.” Valdivia said LGBT people are victims of “assassinations, political attacks, legal discrimination and targeted street violence.” According to the Inter-American Commission on Human Rights, fewer than one in four murders of LGBT people are prosecuted. 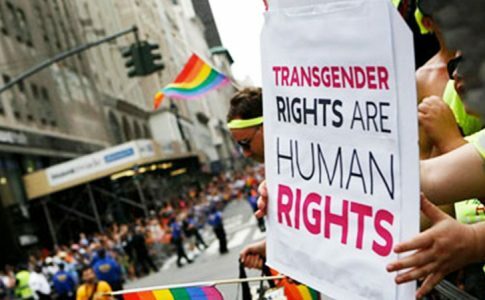 Conditions for LGBT Hondurans people worsened after the 2009 military coup supported by Barack Obama and then Secretary of State, Hillary Clinton. Since 2009, 229 murders of LGBT people were reported – an average of 30 every year, according to the NGO Cattrachas. Between 1994-2008, this number was two murders a year. Trans women have it the worst. Systematic violence at the hands of the police, as well as organized crime is commonplace. 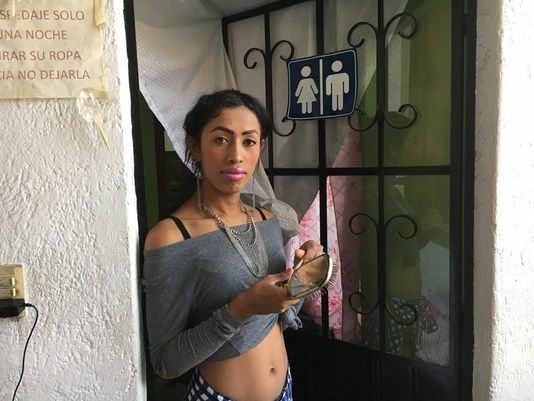 La Izquierda Diario interviewed Valentina, a trans woman from El Salvador, while she was camped out with thousands of other migrants in Mexico City. She said she found Mexico to be much more welcoming for trans people: “I would never dress like this in my country. Ni de loca,” referring to her earrings, scarf, skinny jeans, and perfectly-done makeup. However, trans people don’t just migrate to escape transphobic violence; they also migrate to escape the violence of poverty, which affects the entire Central American population, and particularly trans people. There is nothing new about trans people trying to come to the US. Countless do so every year, facing the many dangers of the journey alone: the drug cartels, the Mexican and US border patrol and the risk of hate crimes. What is new about the migrant caravan is that instead of suffering in silence and seeking clandestine passage, these migrants loudly proclaim their existence and demand to be let in. And for the LGBT migrants, they proudly proclaim their queerness, walking around wrapped in rainbow and trans flags. These migrants confronted tear gas and the Mexican police at the border, fighting their way into Mexico. They faced discrimination from some people in the caravan. Now, they are facing right wing marches against them and other migrants in Tijuana. But these migrants, and particularly these trans migrants have endured and persevered. They band together, in the caravan and among the LGBT contingent because they refuse to suffer alone and in silence. These trans migrants are a new and combative face of the global working class– and yes, the US working class.A working class that is brown, trans and knows the power in unity. There are countless fallen trans migrants whose names we will never know. 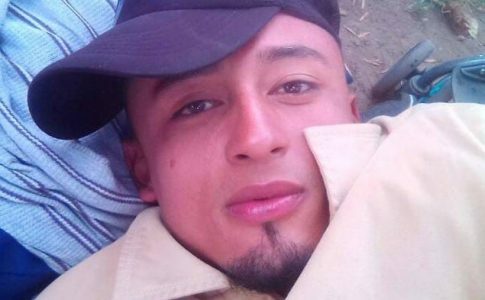 Those who die on the long journey to the border, who are kidnapped, tortured and killed by the drug cartels and police. The abuses against trans people in detention centers are not exclusive to the Trump years. Barack Obama was President during the death of another trans woman while in custody of the US government. Victoria Arellano died in ICE custody after being denied HIV medication. She was only 23 years old. The LA Times reports, “The task of caring for Arellano fell to her fellow detainees. They dampened their own towels and used them to cool her fever; they turned cardboard boxes into makeshift trash cans to collect her vomit. 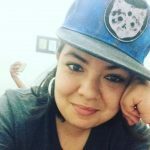 As her condition worsened, the detainees, outraged that Arellano was not being treated, staged a strike: They refused to get in line for the nightly head count until she was taken to the detention center’s infirmary.” She died two days later. The migrant caravan arrived at the border in a moment of increased political attacks against oppressed people in the U.S. and around the world. 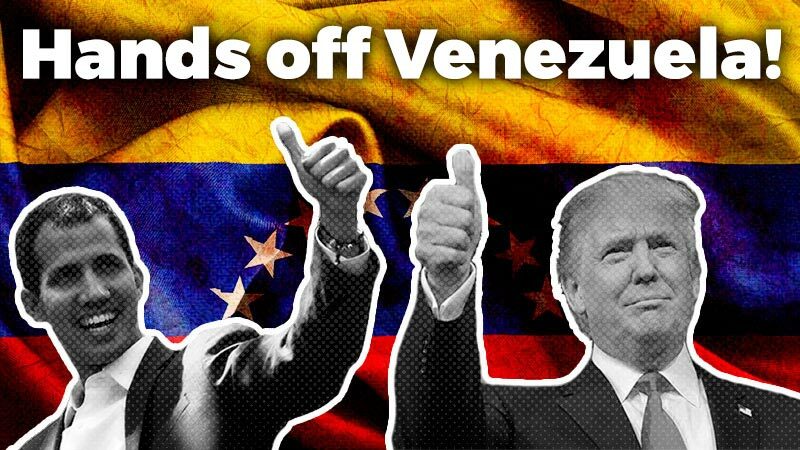 There are neo-Nazi marches in Europe, the far-right president-elect, Bolsonaro, in Brazil and in the U.S., there is Donald Trump. These right-wing figureheads have ushered in attacks against oppressed people and trans people in particular. In the U.S., this means bathroom bills, the ban on trans people in the military, and the trans erasure proposal. It means ultra-conservative Kavanaugh in the Supreme Court, who is sure to side with the most reactionary, hateful elements in the U.S. But the attacks of this moment aren’t just against trans people. They are against Muslims, immigrants, women (trans and cis), all people of color and working-class people. It is an era of family separations, of crying children kept in cages. It is the era of the military sent to the border, promising to shoot migrants who throw rocks. We cannot see each of these attacks as isolated incidents. Instead, we must understand them as parts of a coordinated attack by an emboldened right wing that is hell-bent on blaming the struggles of the working class on the most oppressed sectors of society. No good jobs? Blame undocumented immigrants! We can’t afford healthcare! Cut trans folks from the military! 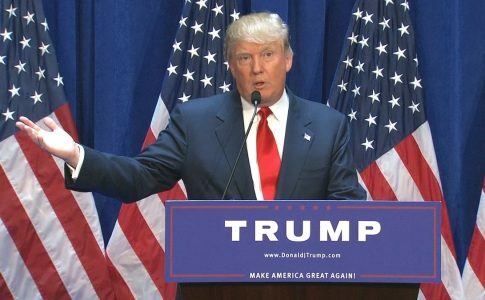 They want people to believe that America, and particularly the American white man, has been cheated by trade deals like NAFTA and undocumented immigrants taking “American jobs”. Anything but pointing at those who are really responsible for the struggles of the vast majority of people in the U.S. and around the world: the capitalist class. It is precisely that capitalist class that stands to gain by dubbing millions of people “illegal” while profiting from their ultra-precarious and underpaid labor. Unfortunately, however, these attacks are not exclusive to the Trump administration. In fact, during the Obama administration, a trans woman, Jennicet Gutiérrez, interrupted a Barack Obama speech to demand that he release LGBT migrants, who up until that point had been housed in facilities that did not correspond to their gender identity. It was only after this action, in 2015, well into Obama’s second term, that this policy was changed. While Obama certainly did not resort to the virulent, hate-filled rhetoric of Trump and his right-wing followers, his administration created a deportation machine and an infrastructure of mass detention of migrants. Trump is using and strengthening it. 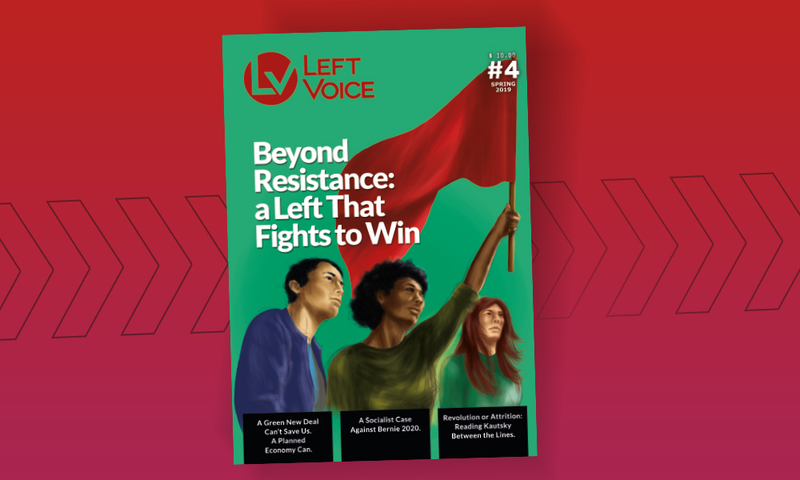 We must build the broadest unity of oppressed and working-class people who want to fight against the rise of the right and for the rights of trans people on both sides of the border. That is the message behind this migrant caravan: unity in struggle. The urgent tasks for us are fighting against the trans erasure executive order and to let in all of the migrants. A united response does not mean ignoring or making excuses for oppression that exists within oppressed communities. In the migrant caravan itself, many of the trans people experienced discrimination from other migrants. And when Jennicet Gutiérrez spoke out against Obama’s immigration policies, she was booed by a room full of LGBT people. This unity has to be forged in struggle in the streets, in our workplaces, and in our places of study. It means building a movement against all forms of oppression and exploitation that won’t be co-opted by the left wing of the Democratic Party who have been silent about the migrant caravan and offer half-hearted solutions to the issue of immigrants rights. They are not the fighting force we need. Trans people in the U.S. have a strong combative legacy. We must organize in the spirit of Stonewall, with the same rage towards this system. Stonewall led to the creation of more sustained LGBT organizing, such as the Gay Liberation Front (a reference to the South Vietnamese National Liberation Front, against which the U.S. was fighting a war). GLF proposed to organize for the liberation of LGBT people but also against imperialism abroad and particularly against the Vietnam War. LGBT people must reclaim this history. Our rage should be channeled to profound solutions to the oppression of trans people, migrants and all oppressed and working class people. A world without the imposition of the church in school, politics and society. One where we can explore our gender and sexuality without fear of losing homes or jobs. One in which we have the free time for this kind of human exploration. A world with no borders. Trans liberation, the liberation of migrants, and that of all of people are bound up in a socialist project of freeing human potential from the crushing reality of a world based on profit by a few and the misery of the many. This kind of world is possible if we fight, honoring our fallen comrades: Sylvia and Marsha, but also Roxanna and Victoria. It is possible if we fight for the rights of all migrants: trans and cis and if we fight for all trans women: those in Tijuana and those in New York.